Hawaii…a vacation destination dream for many people all over the world. This beautiful island offers some of the world’s most beautiful features and breathtaking sights. 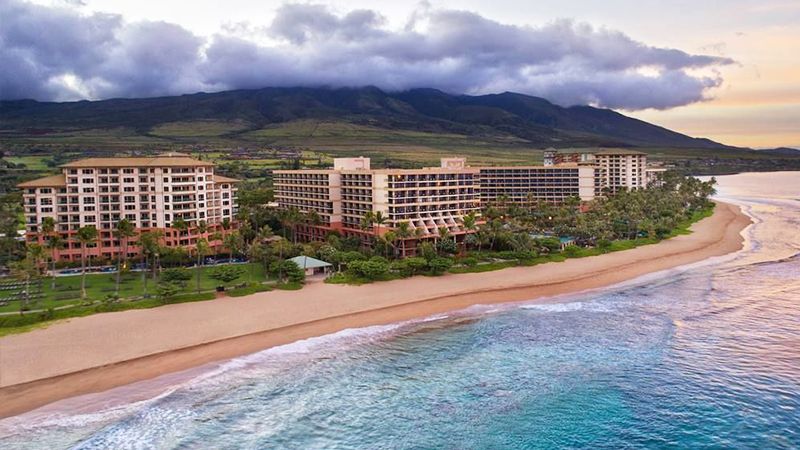 Today, we are bringing you the Top 10 Best Hawaiian Marriott Resorts to help your vacation or getaway planning go a bit smoother. 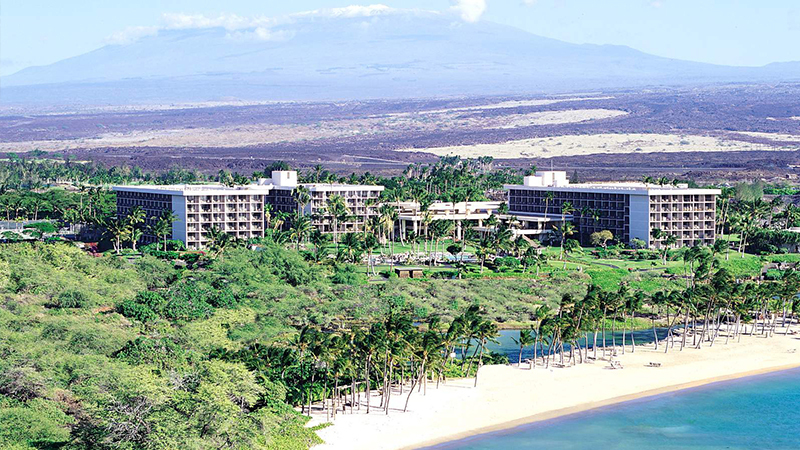 10) Waikoloa Beach Marriott Resort & Spa –Starting off our list of the top Hawaiian Marriott Resorts is in Waikoloa Beach. You can see how luxury and nature go hand in hand when you book a stay at this resort. Beautiful gardens, mountains, pools, and ocean views accompany the luxurious suites this resort has to offer guests. 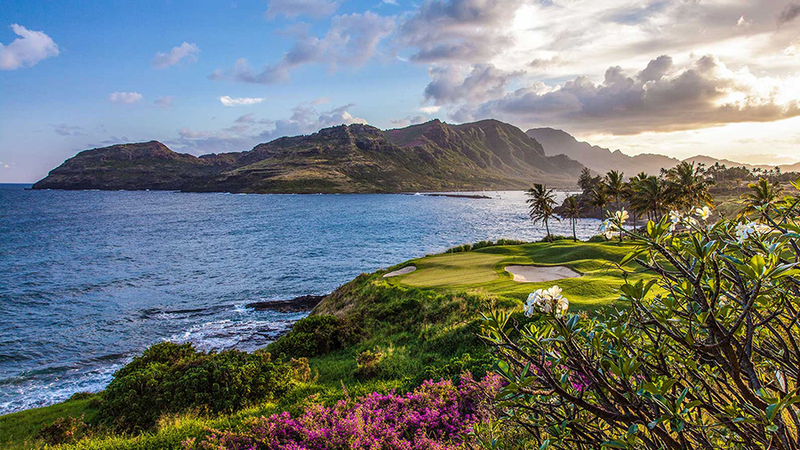 Here you will find two championship golf courses, an ancient Hawaiian pond and petroglyphs. If you enjoy history and luxury this is the resort for you. 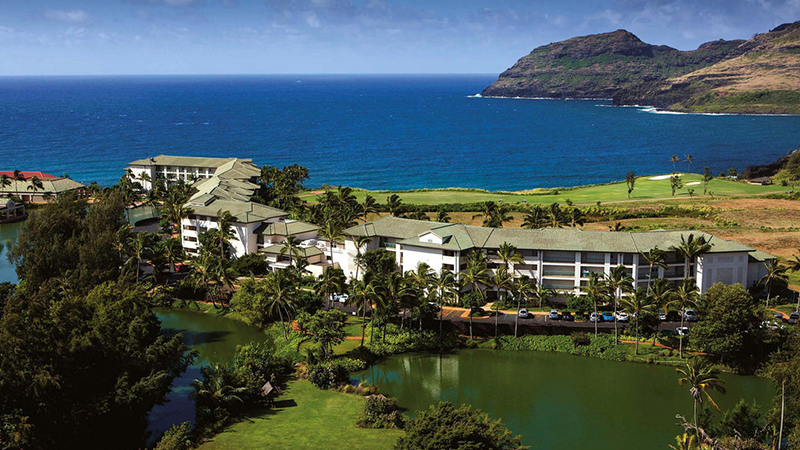 9) Marriott’s Kaua’I Beach Club – Breathtaking ocean views await you at this family friendly Hawaiian Marriott Resort. This resort is located on the stunning Kalapaki Beach. It is rated as one of the best swimming beaches in Hawaii. Enjoy your elegant villa and the many wonderful amenities included when you book you stay here. Take a dip in the crystal clean pool then dine on delectable cuisines. Enjoy a relaxing time in the spa all while basking in the stunning natural beauty that surrounds the resort. 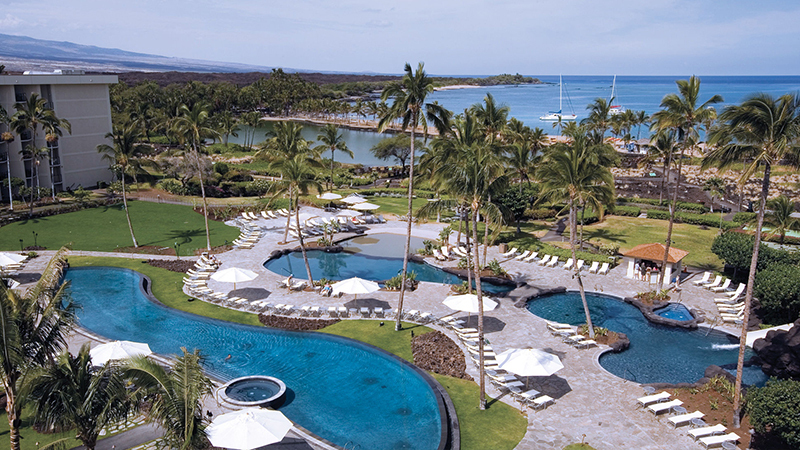 8) Marriott’s Waikoloa Ocean Club – The elegant luxury suites in this resort will leave you rested and refreshed. Choose from a one or two bedroom suite that can accommodate up to eight guests in each. Bring the whole family for a memorable vacation. Discover the three on site swimming pools, a Mandara Spa and a state of the art fitness center. You will find delicious dining options found at the indoor-outdoor Hawaii Calls restaurant. 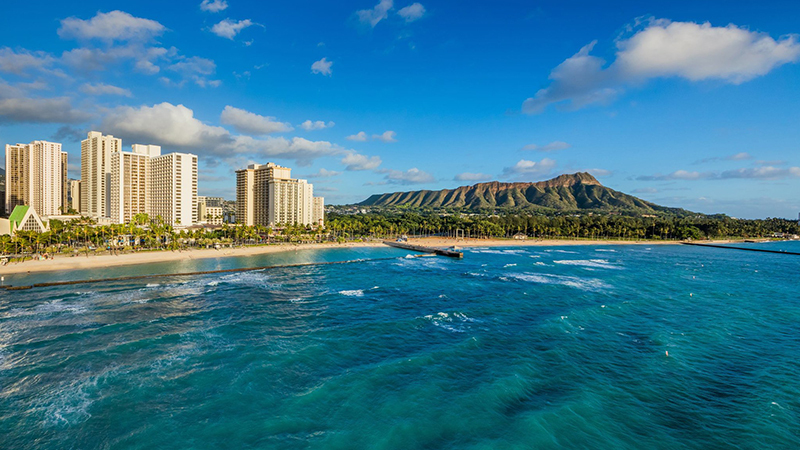 7) Waikiki Beach Marriott Resort & Spa – This resort is perfectly situated close Waikiki. Experience fun activities offered while still staying tucked quietly away so you can relax and unwind. Step out onto your private balcony in the morning and watch the sunrise over the ocean before starting your day of adventure and fun. 6) Kaua’i Marriott Resort – When you are looking to book a stay at a Hawaiian Marriott Resort this particular one is a popular choice. This luxurious resort features 345 guest rooms as well as 11 richly appointed suites. The lavish bedding will help ensure a good night’s rest so you are refreshed for all your daily activities. If you want a truly relaxing time book an appointment at the onsite spa. It features body scrubs, lip treatments, men’s services and so much more. 5) Marriott’s Kauai Lagoons – Kalanipu’u – If you want to truly enjoy the Hawaiian atmosphere, a stay at this modern and unforgettable resort is in order. Your spacious villa will wow you from the moment you unlock the door. The first class amenities just make your stay that much better. Take advantage of the many activities here like relaxing on the beach or poolside, a day at the spa, shopping and delectable dining. 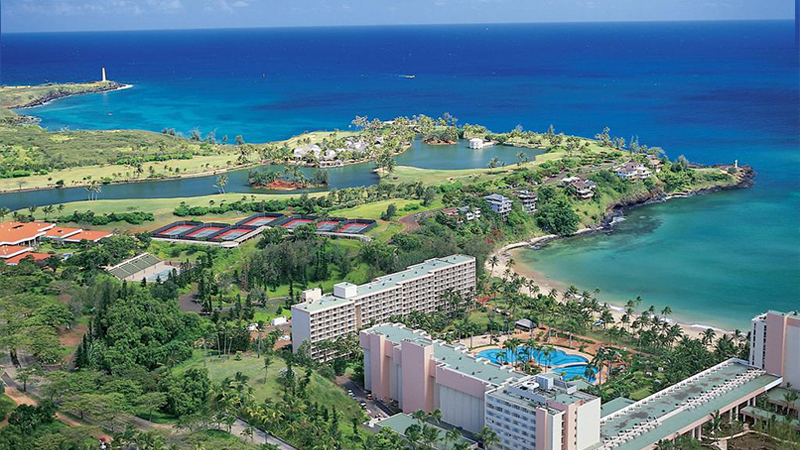 4) Marriott’s Waiohai Beach Club – If you like to explore natural beauty this is the Hawaiian Marriott Resort for you. The unspoiled terrain invites adventurers to explore the rugged cliffs, beautiful waterfalls and lush forests. Take a day and enjoy exploring the area on horseback or by way of water. Things like scuba diving, snorkeling or just taking a water sky out into the ocean. The activities are only limited by your imagination. 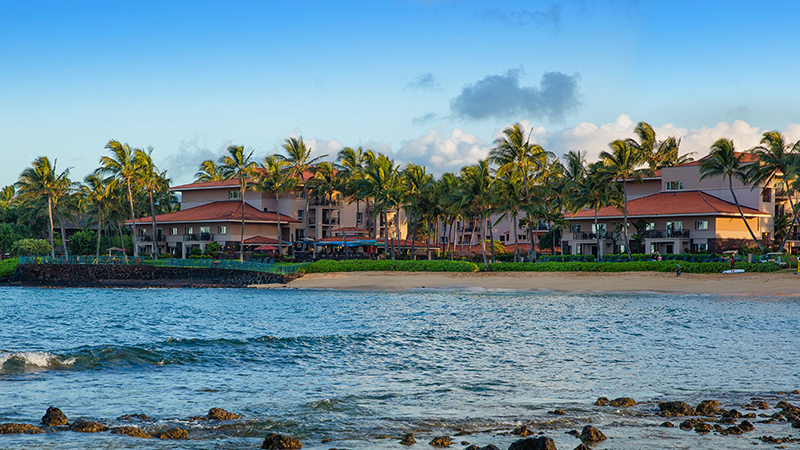 3) Mauna Kea Beach Hotel, Autograph Collection – The stunning white soft sandy beach and crystal blue waters found in the Kauna’oa Bay are what tropical vacation dreams are made of. This modern, sophisticated and elegant resort offers guests a host of amenities. It includes championship golf courses and award winning tennis courts just to name a few. 2) Marriott’s Ko Olina Beach Club – This beautiful resort is located on the lagoon, giving guests a private feel with spectacular sights. 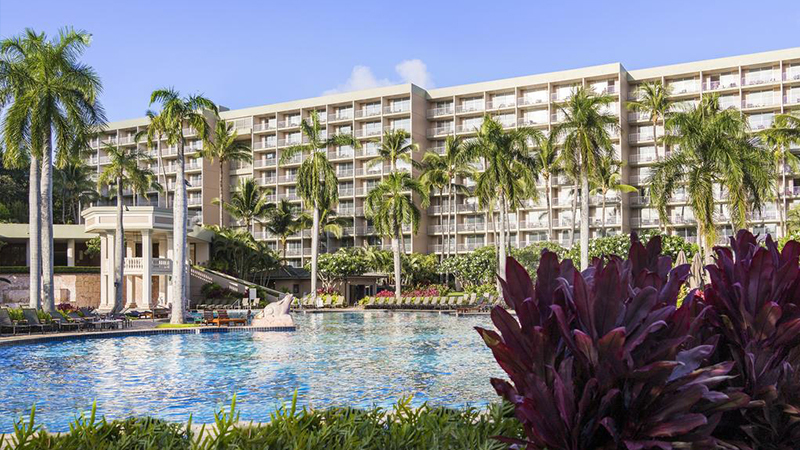 From the moment you arrive at this Hawaiian Marriott Resort you are greeted by the exquisite waterfalls and fountains found here. This resort offers beautiful landscapes and a gated community as well as the stunning sights. The villas are fully equipped with kitchens as well as washer and dryers, king size beds and oversized bathtubs giving you all the comforts of home. 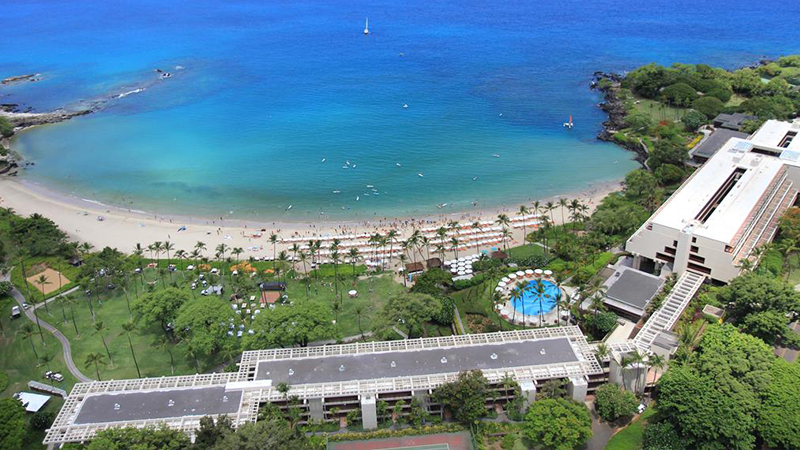 1) Marriott’s Maui Ocean Club – Lahaina & Napili Towers – At the top of our list of the best Hawaiian Marriott Resorts is the Marriott’s Maui Ocean Club. Located on Lahaina, Maui’s world-famous Ka’anapali Beach, this resort welcomes guests with beautiful, luxury and elegance. Take a swim in the sparkling 3.5 acre pool complex, or enjoy the fun of the slides, waterfalls and grottos. The pristine natural beauty of the island will leave you breathless as you try to take it all in. 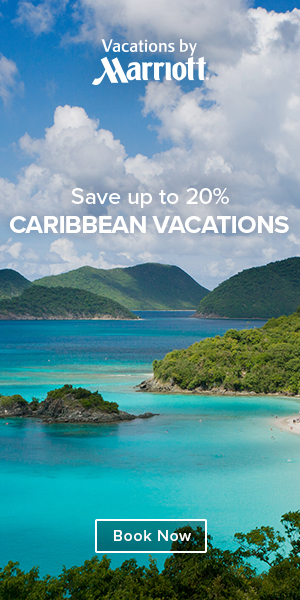 Spend your days golfing, hiking, and scuba diving, sailing or doing anything else that tickles your fancy. Then spend your evenings dining on the most delicious foods to ever touch your taste buds. 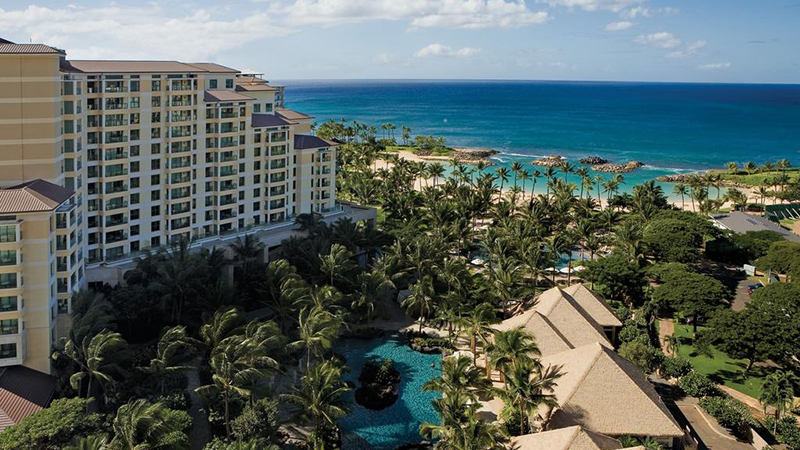 We hope you found this list of the Top 10 Best Hawaiian Marriott Resorts helpful to find the best places to stay. Now it’s time to travel to Hawaii!